Just Contemporary Romance: Having a debut title is more than exciting for me! Having a debut title is more than exciting for me! Hello! 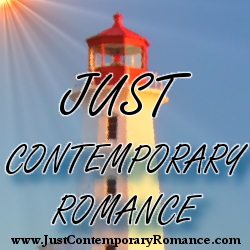 I’m so happy to be here on Just Contemporary Romance! Having a debut title is more than exciting for me! My debut book, just released on January 1, is a Harlequin Mills & Boon Medical Romance titled Changed By His Son’s Smile. When I first had my epiphany that I wanted to write romance fiction, I foolishly thought I could just write a pretty good book then sell it, right? Uh, no! :-) I completely underestimated the time and effort involved in learning the craft of fiction writing, and also how competitive the publishing world is. After years of writing, not writing, then deciding to work harder to get where I wanted to be, I heard about the Fast Track submission Hqn M&B medicals was conducting in 2012. It sounded fun to write that kind of story! I knew immediately I wanted to set it in Benin, West Africa because my husband had worked in a mission hospital there a few years before I met him, and his photos and stories were memorable. Researching the country was fascinating, and I also had fun coming up with the storyline. I decided on a classic romance trope so the story, set in such an unusual place, wouldn’t seem too ‘out there’ to some readers. The hero, Dr. Chase Bowen, is the son of mission physicians and grew up living around hospitals in developing nations. He knows a family is out of the question for him, because the places his work takes him are too dangerous for children. Chase is stunned when his former lover from three years ago shows up to work in Benin for an eight-month stint. They'd worked together in Honduras for over a year, until Dani had asked him to marry her and have a family together. Chase believed he had no choice but to turn her down flat, despite how much it hurt saying goodbye. When Dani arrives in Benin, she has a two-and-a-half year old boy with her, and Chase realizes why she'd asked him to marry her—the child is his! He tells her he now accepts her marriage proposal, but Dani says it's too late. Chase is determined to convince her, and insists their son belongs in the US, where he'd be safer than in places like Africa. His mission work is his life, but he's convinced they can make it work with her and their son in the US, and Chase working there a few months a year. Dani knows how it feels to be unimportant to a parent, and refuses to marry a man she and her son would see only weeks a year. Can Chase and Dani find a solution that will work for all three of them? Or are their differences too big to overcome? Feminine laughter froze Chase in mid-step. A bubbly, joyous sound so distinctive, so familiar, so rapturous that his breath caught, knowing it couldn’t be her. Knowing he shouldn’t want it to be her. Knowing that he’d blown it all to hell when he’d last seen her anyway. Without intent or permission, his feet headed toward the sound and the headlights of the dusty Land Rover. Shadowy figures stood next to it, and he could see Trent taking the new arrival’s bulky shoulder bag from her. Spud was obviously introducing the two, with Trent giving her his usual too-familiar embrace. Chase had to fight the sudden urge to run forward, yank Trent loose, and tell him to keep his hands off. He hadn’t needed to see the curly blonde halo glowing in the twilight to know it was her. To see that beautiful, crazy hair pulled into the messy ponytail that was so right for the woman who owned it. A visual representation of impulsive, exuberant, unforgettable Danielle Sheridan. Chase stared at her across the short expanse of earth, his heart beating erratically as though he’d suddenly developed atrial fibrillation. He’d always figured they’d run into one another again someday on some job somewhere in the world. But he hadn’t figured on it stopping his heart and shortening his breath. Three years was a long time. Too long to still be affected this way, and he didn’t want to think about what that meant. I’d love to know what your favorite romance trope is, and also if you’ve ever read a medical romance! If you have what do you like (or not like) about them? I’ll be giving away a print copy of Changed By His Son’s Smile, and a tote bag to a commenter. Giveaway ends 11:59pm EST Jan. 25th. Please supply your email in the post. You may use spaces or full text for security. (ex. jsmith at gmail dot com) If you do not wish to supply your email, or have trouble posting, please email maureen@JustContemporaryRomance.com with a subject title of JCR GIVEAWAY to be entered in the current giveaway. I'm actually a sucker for these baby discovery tropes. And I really like those where the guy is the hot and heavy pursuer. Friends to lovers is another favorite. I haven't read many medicals or when I do, they just happen to be the part of another primary storyline. You and I are on the same wavelength, Jonetta, as I love those same tropes! Thanks for stopping by! I remember reading a medical romance a while back but for the life of me, I cant remember the name of it. I really enjoyed it tho! Friends to Lovers is one of my favorites, too! I love that there's a history there, but it's a completely different feeling than the one they're experiencing now. Thanks for your comment, Karen! Hope you just might give medical romance another try sometime! What kind of hero is your favorite, then? Would love to know! I love to read about ex's getting together years after they split. They already have so much chemistry and know each other. I have read a few medical romances and have enjoyed them a lot. Your book sounds amazing. I do like reading (and, obviously, writing!) about ex's that get back together. So much opportunity for bad blood and a rift between them, at the same time the attraction is most definitely still there! A woman after my own heart! :-) I found myself thinking the same thing - "I love this kind of story, oh and this kind, oh let's not forget about...." I guess I just plain love romance, too! Thanks for stopping in, Kristin! Hi, Robin! I love the secret baby books — wrote one myself. Friends to lovers is another great one. Obviously, me too! :-) Thanks for coming by, Arlene!